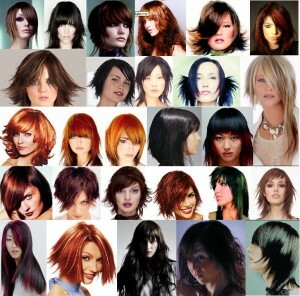 We spend a great deal on hair care products in the course of a year. Shampoo, conditioner, hair spray, hair gel and other products can really put a dent in your budget, especially when you have to buy different products for different family members. There are some ways to save on hair care products. Watching for sales is a good way to save on these types of products. If you can afford it, you can stock up and not have to worry about them for a while. Buying in bulk can also save you money if you can find the products you like in large containers. Coupons are another way to cut costs at the checkout. If you are the do-it-yourself kind or crafty, you might enjoy making your own shampoo. One of the benefits is that you can use all natural ingredients. You can also scent the shampoo with whatever you like. Mix together ¼ cup of distilled water, ¼ cup liquid Castile soap and 1/2 teaspoon jojoba, grape seed, or other light vegetable oil. Pour into bottle, cap and shake well before using. Add a few drops of whatever scent you like, if desired. The mixture is a little thin so be careful when you pour it out but it lathers up great. Mix together 2 ounces aloe vera gel, 1/2 teaspoon olive oil, 2 ounces apple cider vinegar and 1 ounce powdered milk. Work the mixture into your hair. Wrap your head in a towel or cover with a shower cap for 15 minutes. Shampoo, rinse and dry as usual. Buy a spray bottle from a local dollar store. Fill it ¼ of the way with conditioner and fill the rest with water. Shake well to blend. Spray on the tangles and simply comb out snarls. Beauty supply stores are the places where beauty shops and beauticians purchase their supplies. They are sold at prices far below retail. Many of these are open to the general public as well. Because these products are sold to beauty salons, they tend to come in large quantities. Simply keep your old bottle and refill it from the large container as needed. You can often find your favorite brands there as well as salon brands.